After his maiden film Genius turned out to be a debacle, Omkar’s second attempt as filmmaker – “Raju Gari Gadhi” – was a sleeper hit in 2015. The film had set the Box Office ablaze and taken many by surprise. Omkar had then announced a sequel for the film. But little did he aware that the sequel would have prominent cast. 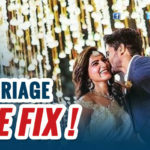 Nagarjuna, Samantha have joined the film’s ensemble cast and the sequel would be bankrolled by PVP Cinema, Matinee Entertainments who earlier made films such as Kshanam, Ghazi. 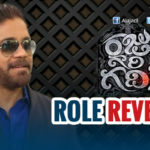 Although the film has been carrying good buzz, Nagarjuna had shocked by stating that the film would have “reshoot” as he was not convinced yet. If this is not enough, the latest we hear is that the film boasts extensive VFX shots which is said to be delaying the film’s release. On top of it, post-production works are also due for the film. Buzz has it that Chaitu’s film “Yudham Sharanam” is slated for August /Sep release, and Nag doesn’t want to have a clash with his son’s film and it could had been another reason for delaying the production of RGG-2. Since both Nag and Sam would be seen sharing screen space after “Manam”, naturally, Akkineni fans are curious to see the twain. Nag essays the role of a mentalist in the film which he hadn’t tried earlier. Even the genre is a new setting for Nag himself. So, one has to see how audiences would receive him.